Easy to Apply, Absolutely Safe. 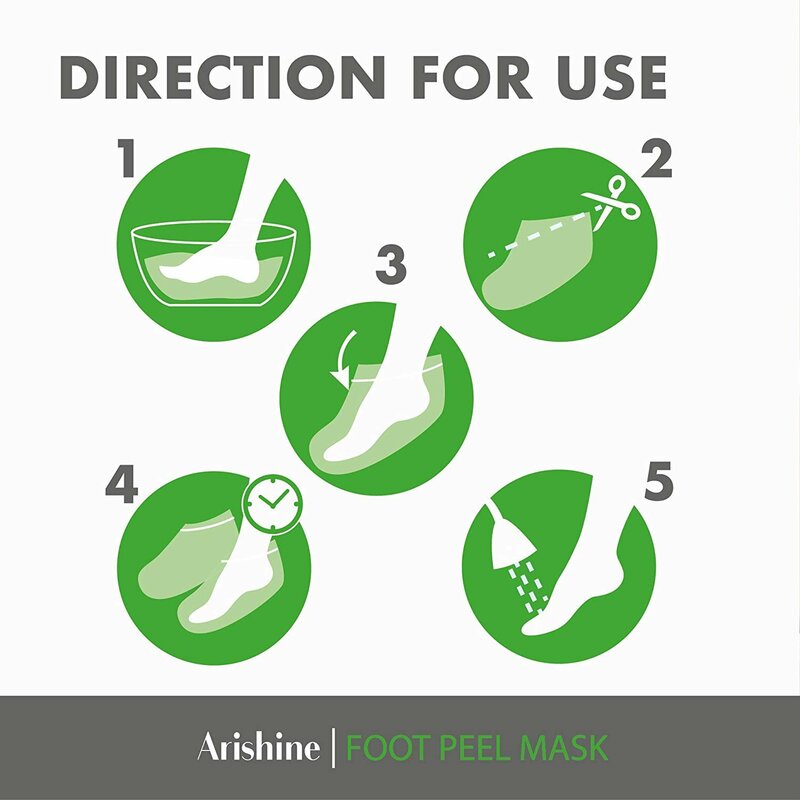 Just follow the simple steps to apply this foot mask, you can also wear your socks outside the mask for a better absorbing. 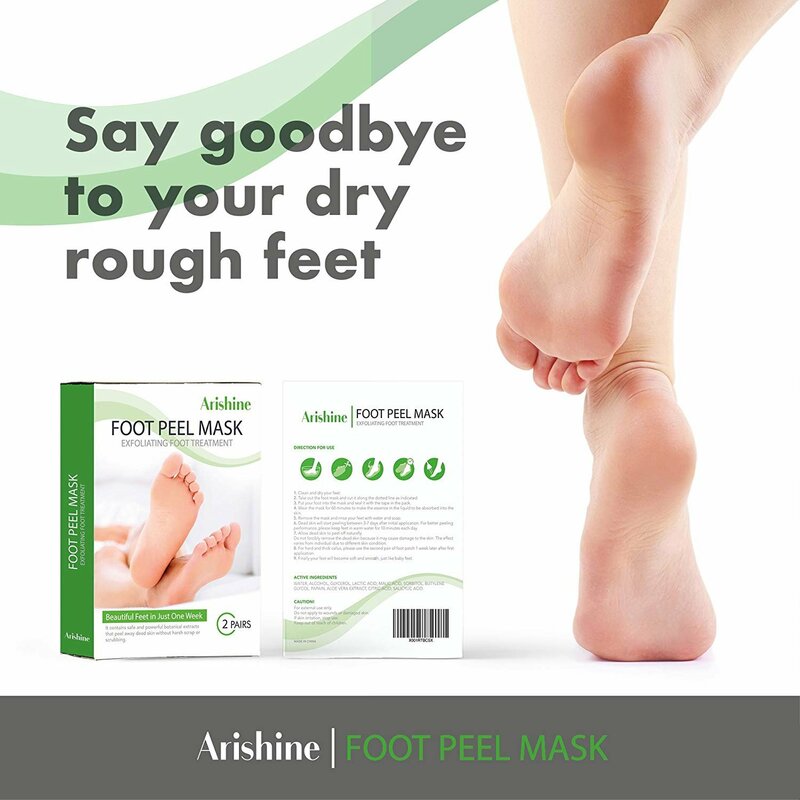 Say Goodbye to Dry Rough Feet: Arishine foot care treatment can effectively soften the aged cuticle, remove dry dead skin and repair your coarse, cracked heels Baby your foot naturally: Contains all natural ingredients and powerful lactic acid. 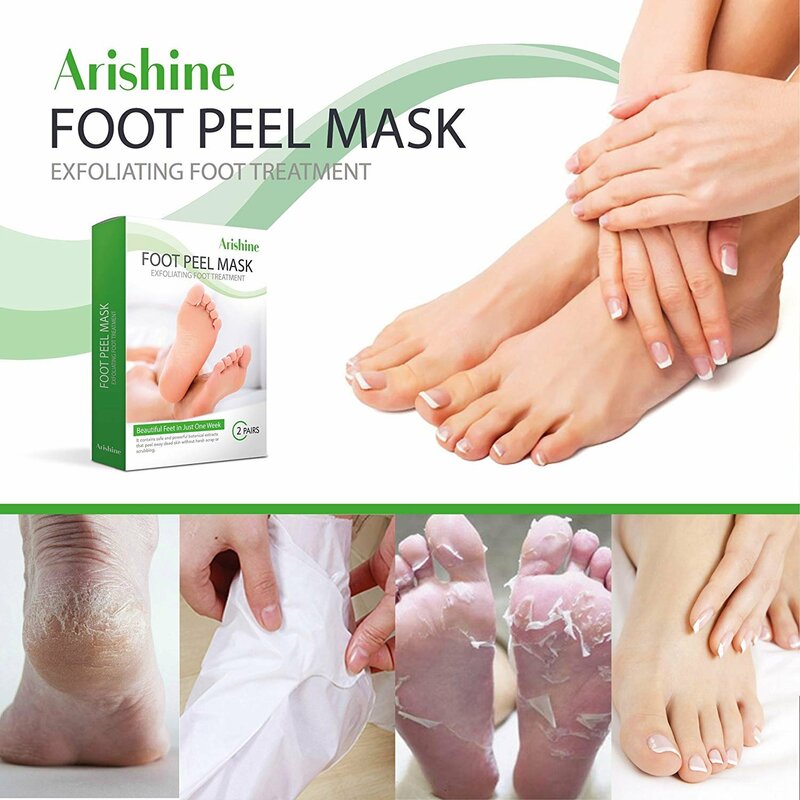 Mild and non-irritating, Arishine foot pedicure mask peels your hard foot skin without irritation or discomfort. Attention For a Better Result! 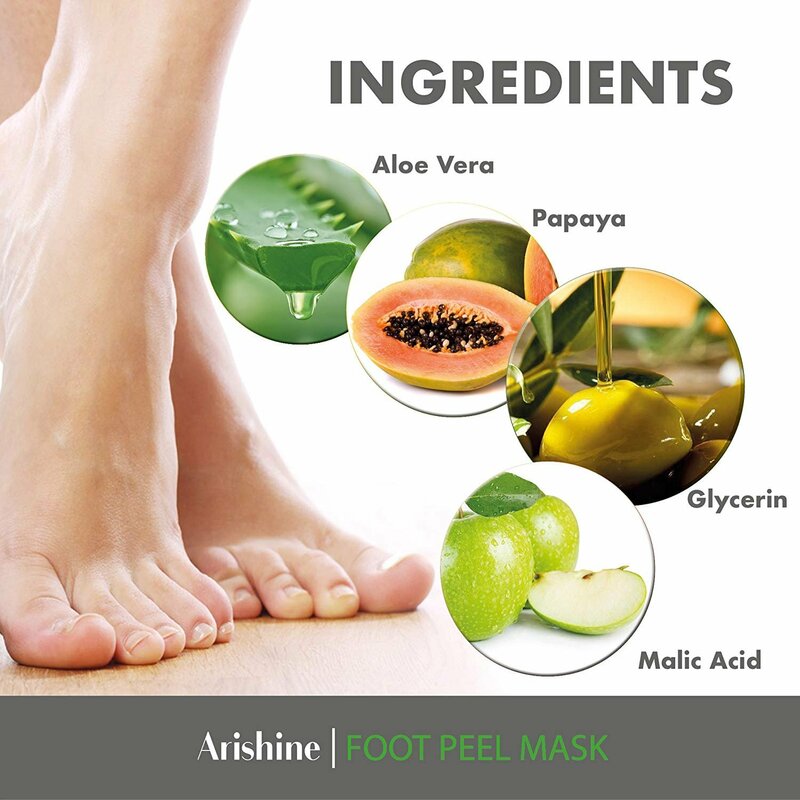 Before you apply the mask, using the warm water to soak your feet. After 48 hours applying, you can soak your feet with warm water and do the same thing in the following days. Definitely Worthy Purchase. 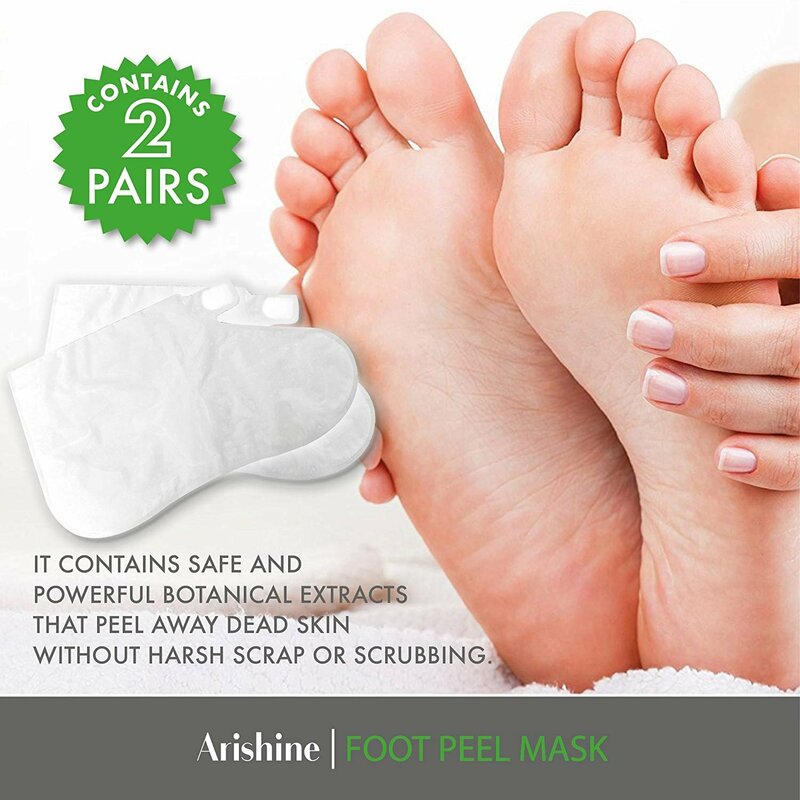 Package Included: 2 PAIRS OF FOOT MASK. You can share with your family and also can keep it for a future treatment. 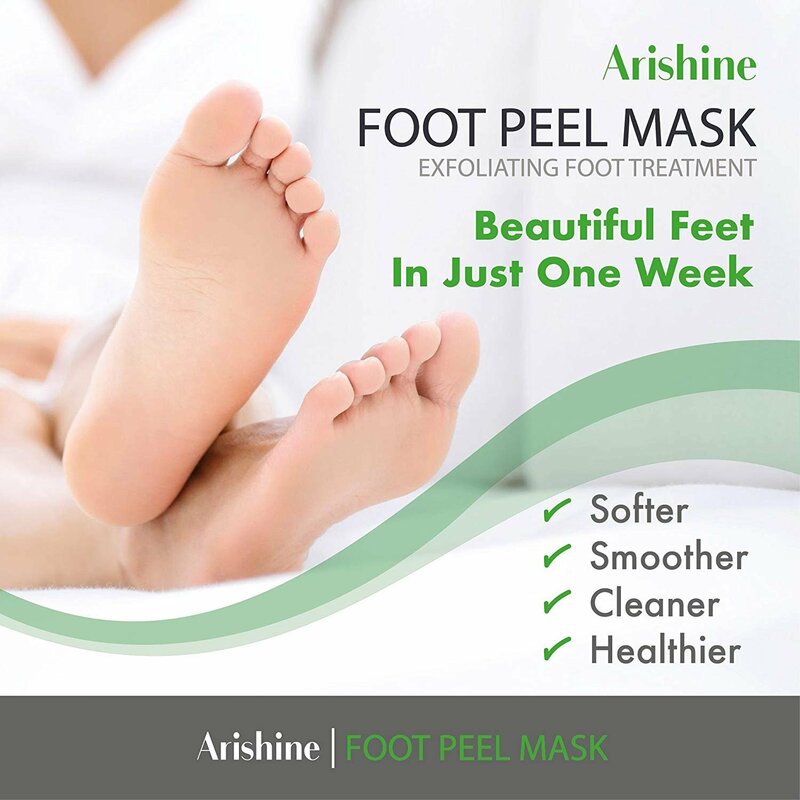 100% SATISFACTION GUARANTEE: If for any reason you are not satisfied with our hard feet remover mask, please contact us and we will offer a full refund with no question asked. No return is necessary.